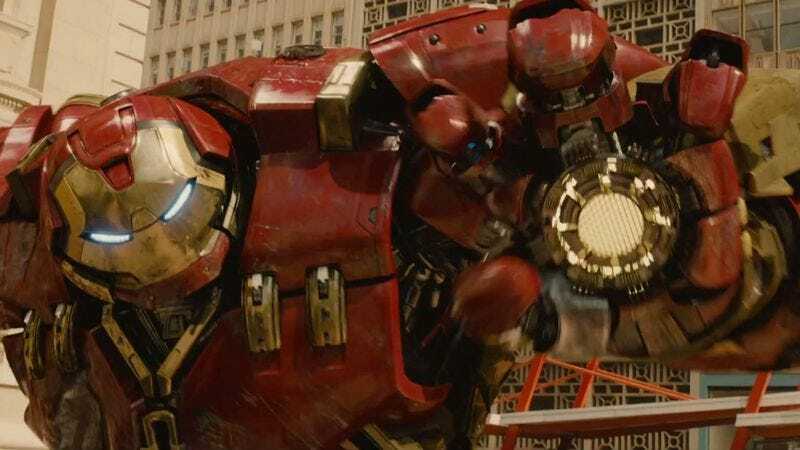 In a world where a rag-tag group of heroes must fight an army of robots and where movie trailers act as a mini-business and ultimate barometer for box office totals, Marvel is boasting that the new trailer for Avengers: Age Of Ultron has eclipsed the viewing record set by the film’s original trailer. Back in October, the first trailer for Avengers: Age Of Ultron appeared, giving off creepy Pinocchio vibes and giving audiences the requisite number of shots depicting heroes with dirty faces staring hard into the distance at something unimaginable (probably a robot). That trailer garnered 34.3 million global views in 24 hours, a new record at that time. Now, the new Ultron trailer has earned 35 million views in 24 hours. The extra .7 million probably accounts for all of those grandmothers who said that they wouldn’t bother watching any Avengers previews until they could catch a glimpse of The Vision, because its character arc obviously will be the most important to this film’s finale. Also, they really like that Paul Bettany. We’ll have to wait and see if the new Avengers trailer can compete with the long-term viewing tally of the first Star Wars: The Force Awakens trailer, which pulled in 58.2 million views on YouTube in its first several days and was on pace last December to be the “most viewed trailer of all time.” That’s difficult to imagine, being that Star Wars is an American institution (Sorry, Steve Rogers). But even if Avengers does win the battle, it surely will lose the war—all the next Star Wars trailer has to do is show a glimpse of Harrison Ford behind a certain console, and the entire Internet will explode into a supernova. In the end, though, it doesn’t really matter who wins, because Disney is releasing both films and already knows that interest in the two properties is extremely high among filmgoers. In fact, Disney executives are probably so confident in both films’ performances that they’ve stopped overseeing their marketing and have started to plan construction of an office water slide, making them the only people on Earth who haven’t watched these trailers.